Mobile apps have become a vital part of the day-to-day life. Why should museums stay behind! Many museums and other social intuitions are being influenced by the technology as it has become a success factor and help them to stay connected with the visitors. To get the same solution you must be thinking to go on for a search of the best museum app development company in the USA. If this is your concern then you have come to the right place! Museums had to pose a big challenge for the visitors to navigate within the region as the signboards and directions were not enough to guide and navigate the visitor. We’re going to discuss how mobile app can let you get more visitors and also how can it benefit you and your audience. Museum apps help your audience to know the stories behind their favorite art piece, and provide detailed information about the artists. The mobile app for museum allows your visitors to experience the arts from a different perspective. With Social media sharing, they can share their experience with art-lovers, family, and friends, which would be an indirect source of spreading awareness about your museum to the people out there. How do you connect with your audience? Connecting with the audience means communicating with them in their language. A multilingual app will make it possible as your audience will not find it difficult to use your museum application. The app designed is multilingual which helps the audience to go through the information in their desired language. Your visitors could mark the piece of art as favorite and save the information of art pieces, paintings and preserve them in their personal art collections. This allows them to read and recall it whenever they want to or need it or any research work. To sum up, museum applications no doubt are developed and intended to benefit the museum visitors. Would you like to have something like this? We are here. 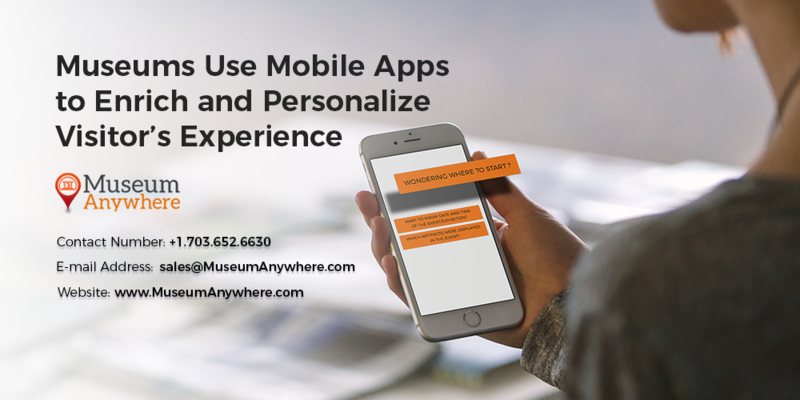 Being the best Museum App Development Company, we have developed and deployed many smartphones and tablet-based museum apps for our clients.